In honor of last weekend’s 39th Annual Gas and Steam Engine Show, this week’s Artifact Archive features our 15 hp Westinghouse Traction Engine, made in Schenectady, N.Y. This vertical, self-propelled engine is the pride of the Historic Charlton Park collection. It would have been used to power threshers primarily, but could have powered other belted equipment such as water pumps and drag saws. To see a video of the Westinghouse in operation, click here. 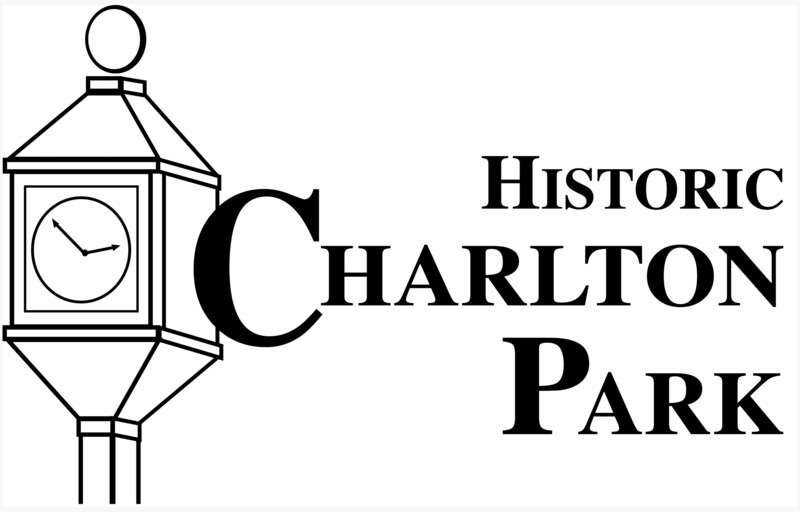 Irving Charlton, Historic Charlton Park’s founder, purchased the Westinghouse in 1957 from Mrs. Willow Palmer of Paw Paw, MI. The engine was secondhand when the Carter’s acquired it, but they did not use it much. Charlton groused that he paid double what the engine originally sold for, possibly paying $1,500. The Patent dates on the machine read May 20, 1884; Sept. 27, 1881 and Aug. 12, 1879. This Westinghouse engine was probably marketed about 1886. The engine operated with water on the inside of the tube, rather than the later models that carried water in flues on the outside. In a Grand Rapids Press article dated August 15, 1957, Charlton stated, “there are but two more like this particular engine in the United States.” That statement is difficult to corroborate, but the engine is still rare, especially in its current condition. The Westinghouse has all of its original sheet metal and almost all of its original parts. It also has a big leather drive belt. Russell Chaffee restored the engine in 1982. 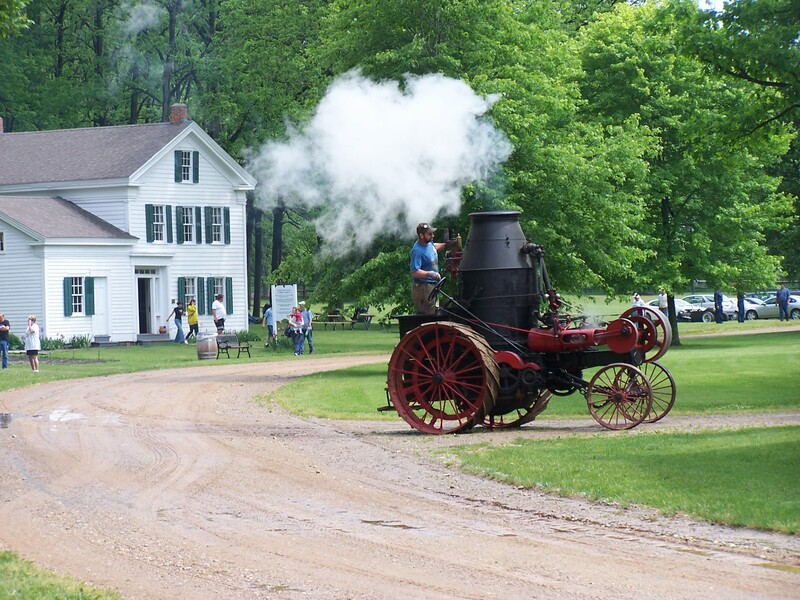 The Westinghouse is still in operation and can be seen chugging around the Park during Charlton Park Day and the Gas and Steam Engine Show. The engine is operated and maintained by members of the Charlton Park Gas & Steam Club. Catalog of Machinery Manufactured by the Westinghouse Co., Schenectady, N.Y. 1903. Reprinted 1974. Catalog of Machinery Manufactured by the Westinghouse Co., Schenectady, N.Y. 1886. 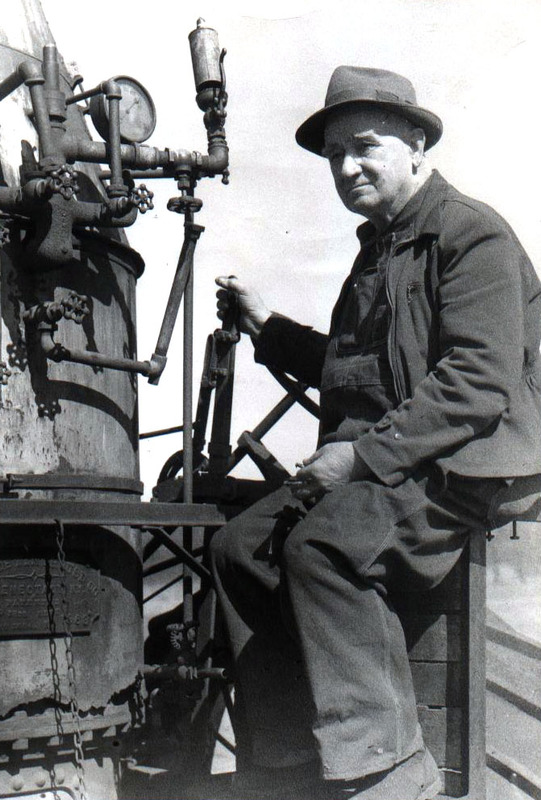 “Ancient Steam Engine: Barry Park Displays Machine of 1880s”, Grand Rapids Press, Aug. 17, 1957. Tatting and Crochet are both handicrafts that can be used to make different types of lace and many other types of projects. Both are often worked with fine thread. Tatting is often mistaken for crochet. This tatted trim could have been attached to a dress, curtains, table cloth etc. 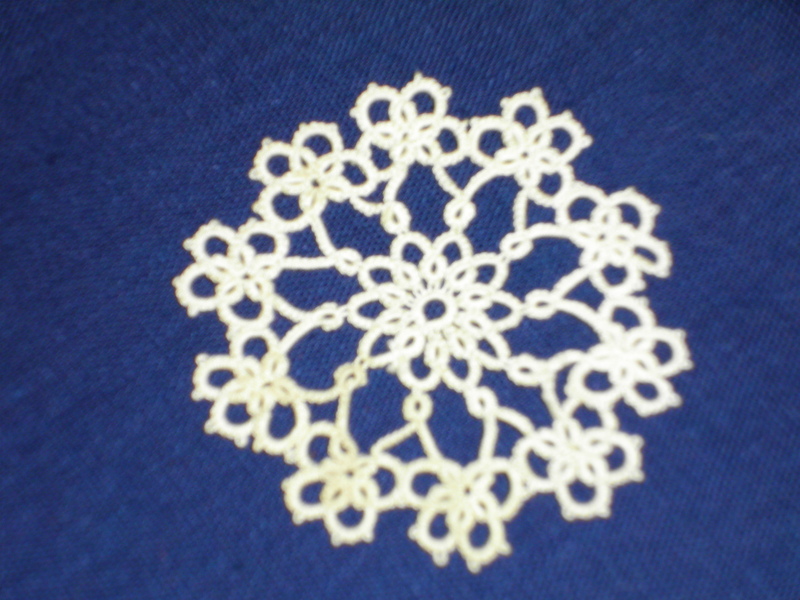 Several of these tatted “snowflakes” could have been sewn together to make a doily or used individually to decorate clothing. rags. Others believe that the name comes from the Indian name for door-mats, Tattie. There are many othertheories but no one knows for sure where the term Tatting actually comes from. Crochet is a much newer craft, it is thought to have been practiced as early as 1800. The name comes from the French word for hook. Crochet fabric is produced by pulling a loop of thread or yarn through a loop on the crochet hook while tatting is made by making a series of knots over a center thread and is sometimes called “poor man’s lace”. 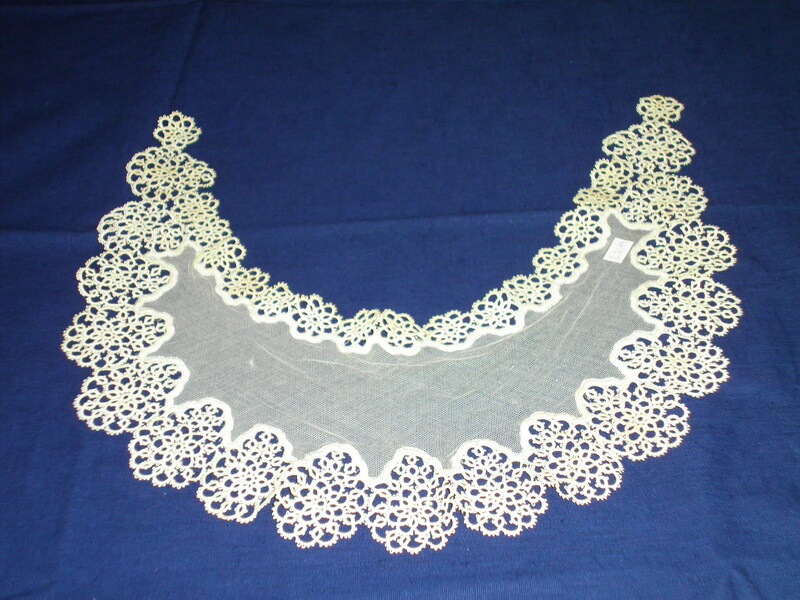 Real lace requires many tools while tatting can be made with a needle, shuttle, or by hand without the use of any tools. There are many styles of crochet. One style, filet crochet, is a series of blocks that are either worked as open or closed mesh to achieve a specific design. 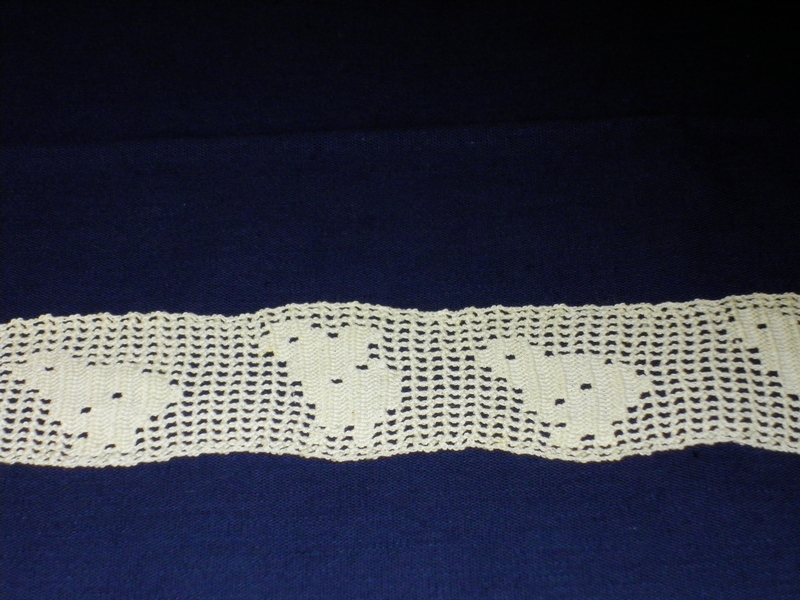 This is an example of filet crochet (trim with chick design). Donated by Opal Moser. Completed pieces are decorative and can be attached to a variety of clothing or household items. Tatting needles are long and have a large eye at one end. Needle tatting originated in the early 20th century. Shuttles vary in size and construction. 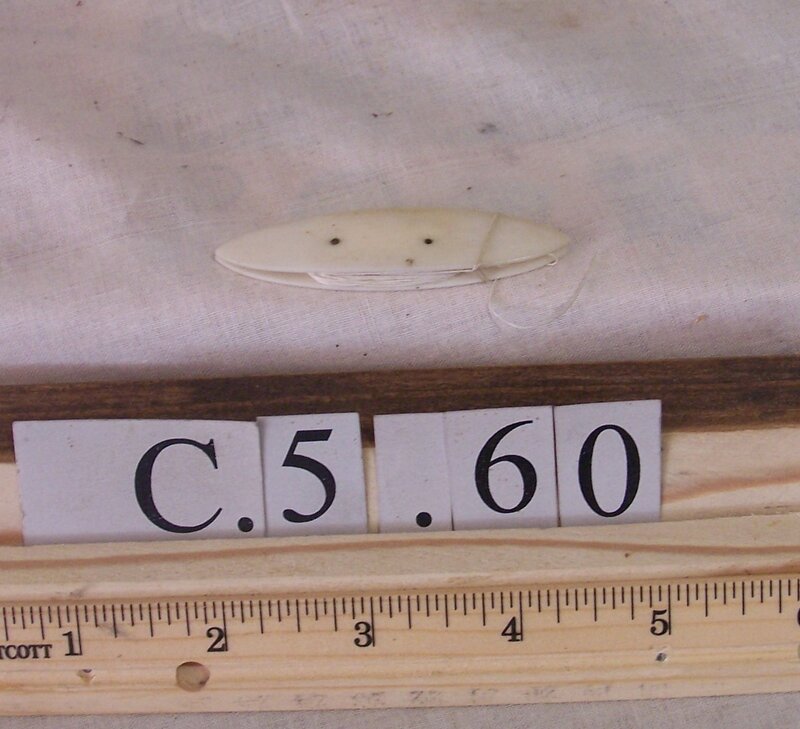 They can be made out of wood, metal, plastic, or bone. The shuttles are often undecorated like those from the CP collection (see picture) or they can be decorated with diamonds and other jewels. 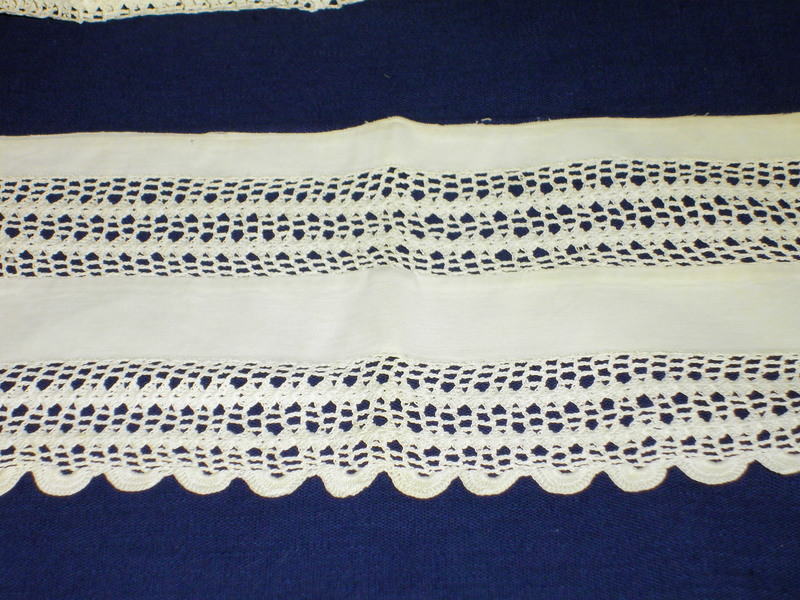 This pillow case trim is an example of combining a crochet design and another fabric. Donated by Mr. & Mrs. J.A. Hanish. Crochet projects are made with different sized hooks (made of wood, bone, ivory, steel, or brass), thread, and yarn. 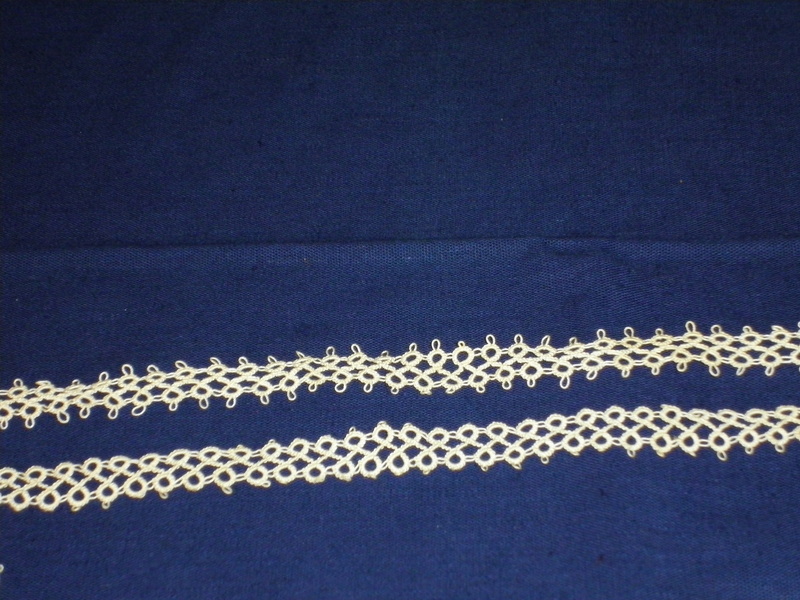 There are five basic crochet stitches. There are an unlimited number of designs that can be achieved when these five stitches and variations of those stitches are used in different combinations. Crocheted design could be pieced together to make a doily or table cloth. mainly decorative and is rarely used to make garments. 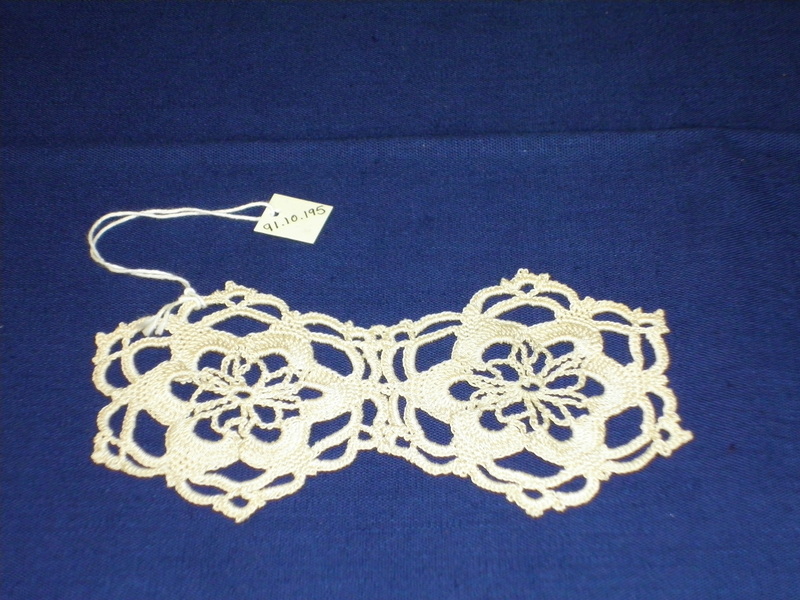 Charlton Park has many completed crochet and tatting projects in the collection. Some of these items are pictured here and are available for viewing in the General Store.